The widest targeted digital and online platform in the Region of East Mediterranean and Middle East. Phoenician Boat, the largest Marine digital media in the Middle East, has joined forces with Cyprus Yachting- the specialized digital platform and print magazine in East Mediterranean and Middle East region, to create the largest Marine media platform on yachting. The new cooperation between the two experienced media houses, enable professionals, individuals and Yacht lovers to get latest news regarding boating and yachting, and at the same time gain access to thousands of potential boat and yacht buyers or find the yacht that they are looking for. Both media can offer a wide variety of services to brokers, boatyards, charter brokers, yachting and sailing associations, companies as well as to individuals who wish either to buy or sell their yacht. Phoenician Boats provides intergraded solutions in the field of Modern Marketing Development and in the Social Networking communities in which they exist. Experts in Brokerage and Consultancy and with a very good knowledge of the global market of Yachts and mostly in the Middle East, they can match supply and demand at both the individual and the professional sector. More than 5000 subscribers at the Phoenician Boat Page and with very busy digital media, the Phoenician Boat is probably the most successful Marine digital media in the Middle East. Also, the Phoenician Boat is the official digital media partners and Broker of Beirut and Qatar International Boat Show for the 2016 and 2017. Cyprus’ first established and specialized magazine for leisure boats and yachts is been published in two languages as a free media and it is distributed in various Boat Show on the island and abroad. The magazine is also been offered as a free press digital magazine throughout the magazine web page and from the e-platform www.cynewsstand.com. The magazine’s web page is been offered to the professionals of the field to present new products and services, whereas at the same time it works as a trustworthy source for visitors to find new or used products or be informed about the industry’s news. 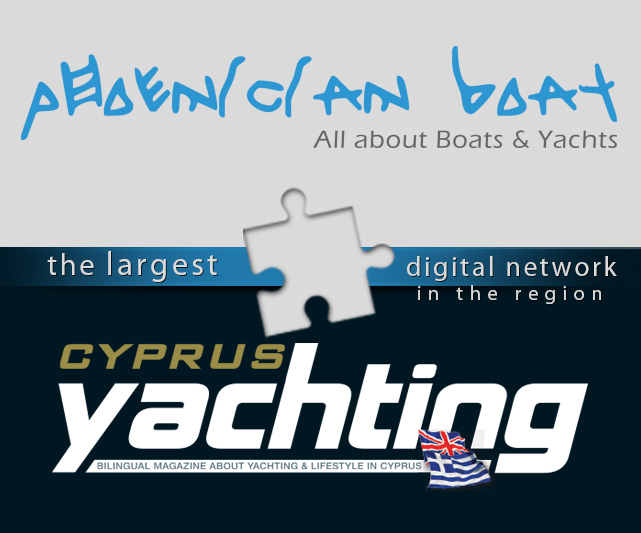 With the support and back up from Cyprus Yachting social media channels, the web pages has more than 5000 unique visitors every month form Cyprus, Greece and other countries. Both media are working on combined advertising solutions and marketing tools that can help professionals or individuals to reach their target audience. Now with the help of two professional agencies or companies, you can get the best promotional outcome in the region.